Palmer just makes learning fun! Even for learning multiplication tables, Palmer writes bouncy, intelligent tunes that help lock the concepts and tables in the memory banks for easy recall. Any tool that gives kids a leg up on the times tables has got my vote. 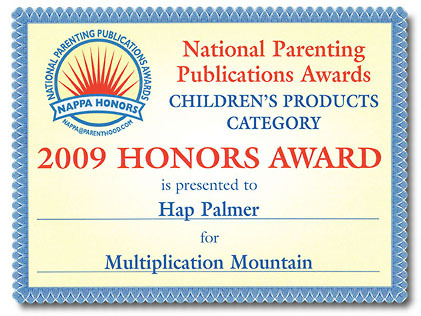 Palmer's engaging voice and clever songs will soon have you standing victoriously atop Multiplication Mountain!